David was awarded a personal chair in Computational Fluid Dynamics by the Court of the University of Edinburgh in June 2009, following his appointment as a Reader in the Institute for Energy Systems in April 2006. He is currently the Head of the Institute for Energy Systems and, since July 2011 has been Director of the Industrial Doctoral Centre for Offshore Renewable Energy (IDCORE). Previously he was the Schools Director of Disciplin for Enegineering Mathematics, Director of Research and the Head of the Engineering Graduate School. He joined IES from Manchester Metropolitan University (MMU) where he was Reader in Scientific Computation in the Department of Computing and Mathematics. He joined MMU as lecturer in Mathematics (specialising in Numerical Analysis) following the completion of his PhD in 1992. David is currently Research Director of the UK Centre for Marine Energy Research (EP/P008682/1, EP/M014738/1 & EP/I027912/1), a £5.3M, interdisciplinary, challenge led, collaborative research pro- gramme funded under the RCUK SuperGen programme that coordinates the research work of more than 100 academic and research staff across 25 UK Universities in both the wave and tidal energy sectors. David is director of the Industrial Doctoral Centre for Offshore Renewable Energy (EP/J500847/1), a £6.5M CDT that is training 66 EngD students from 2012-2022. IDCORE is funded by the ETI and the RCUK Energy programme and is run by a consortium of the Universities of Edinburgh, Exeter and Strathclyde, together with the Scottish Association for Marine Science and HR-Wallingford. It will be suceeded by the recently announced Industrial CDT in Offshore Renewable Energy ( EP/S023933/1), funded by EPSRC and NERC, which will train an additional 50 EngD students. He is an active member of RealTide (H2020-727689) project. He was part of the management teams for the WETFEET (H2020-641334), PolyWEC (FP7-309139), MARINA Platform (FP7-241402) and TROPOS (FP7-288192). He coordinated EquiMar (FP7-213380), a 22-partner project that de- veloped protocols for the equitable evaluation of offshore renewable devices. He was one of three investigators who secured £6M funding from the EPSRC to design build FloWave the worlds first, circular, combined wave and current test basin. 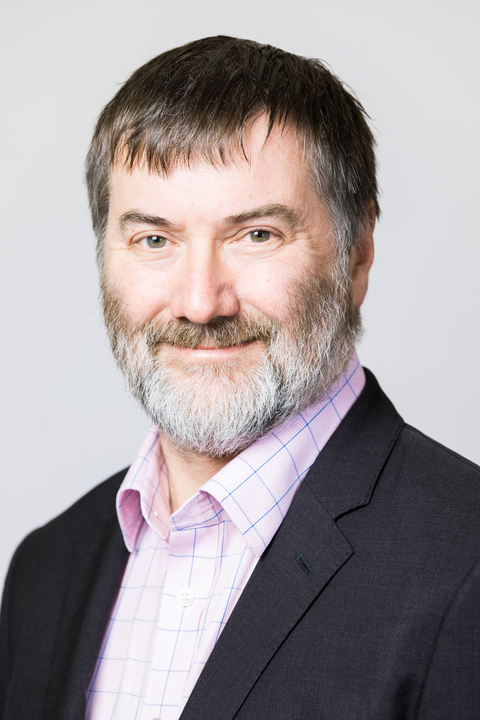 He is presently the facility Director and recently led a submission to EPSRC’s Statements of Need for Medium Scale Research Facilities to bring together facilities in Edinburgh, Glasgow and Plymouth to form the National Renew- able Energy Laboratory. Since 1990, he has raised over £3M in research funding for his own University. PhD - Computational Fluid Dynamics, Manchester Metropolitan University, 1992. David is a member of the Mechanical Engineering discipline and is the Course Organiser for Computational Fluid Dynamics 5 and teaches on Partial Differential Equations 3. He is also the Course Organiser for Engineering Mathematics 2A - teaching mathematical methods for the solution of higher order Ordinary Differential Equations and introducing Partial Differential Equations. David also teaches on the IDCORE programme and on the CDT in Wind and Marine Energy Systems. The Industrial Placement year I undertook at Harwell developed a passion for Computational Fluid Dynamics (CFD). At Harwell, I worked on the development of grid generation software for the CFX flow solver121(which was being developed by the Applied Mathematics Group). As well as developing the mesh generators (work which I extended for my final year project)121, I used Flow3D (as it was originally called) to model a number of industrial applications122 and presented my first paper at the 1987 HTFS symposium112. This interest was developed through my PhD, for which I wrote a compressible, boundary conforming, fluid flow solver which could be applied to chemically reacting flows120,111. Working with my first PhD student and PDRAs this code was extended and used to a number of industrial applications,53,63,58,59 including modelling the engine surge in the twin side-by-side air intakes of the Typhoon fighter aircraft54 for BAe Systems. Causon, Mingham, Yang, and myself developed the Cartesian cut cell method as a boundary conforming alternative to boundary fitted meshes. Cartesian cut cells have the advantage that the moving body can make large scale motions across the background grid without the need to recompute the underlying mesh. The Royal Aeronautical Society awarded us the 1997 Busk Prize for our papers describing the method106,107. The method was extended to 3D50,52 and applied to model shallow water flows46 and other a range of other applications including shock-bubble interaction43. Work on shallow water equations identified a serious short-coming in the representation of the bed form in conservative flow solvers, we developed the surface gradient method for dealing with this issue reporting the work in two papers45,48 that, to date, have been cited almost 500 times. Further work on Cartesian cut cell solvers led to the development of a free surface capturing method and the development of the Amazon-SC flow solver33,34,44. Building on the model development in shallow water and free surface flows, I lead the numerical work pack- ages on the EPSRC VOWS and EU CLASH projects. In VOWS and CLASH we continued to develop the models and applied them for predicting the volumes of water overtopping seawalls during violent wave im- pacts84–86,39,87–89. During this time one of my PhD students used radial-basis-functions in artificial neural networks to predict wave overtopping volumes35,37,38. The work on wave overtopping led to a long term col- laboration with Dr Yasunori Watanabe (Hokkaido University, Sapporo, Japan) using CFD and experiments to describe breaking waves20,30,32. This work culminated with a paper describing the statistical distributions of spray droplets in breaking waves17. This work was reported (on 15th October 2016) in the Times, the Daily Mail, the Scotsman, the Herald and the Edinburgh Evening News. In 2006, connections I had made with through VOWS and CLASH led to a move to Edinburgh. Since join- ing the School of Engineering I have become more involved in marine energy research and my work has been more application driven. Working with experimentalists led to the development of best practice proto- cols and ultimately to the development of broader technology evaluation protocols within the EC EquiMar project60,29. The EC project led directly to the Marina PLATFORM and TROPOS projects, which consid- ered multi-use energy platforms. In both I led work to combine CFD tools, Geographic Information Systems (GIS) and met-ocean data to assess marine energy resources and to match technology to deployment loca- tions14,22,23. This work led to an investigation of the impact of wave-current interaction at marine energy deployment sites in Orkney26 and to two EngD projects. The first developed techniques to re-create real- istic multi-directional sea conditions in a wave basin15 and the second to an investigation of the effect of wind induced tilt on the hydrodynamics of floating wind energy converters1,13,21. Interest in the assessment of renewable energy devices in EquiMar, MARINA Platform and TROPOS led to my inclusion in the EC funded PolyWEC project which considered the use of dielectric elastomers as a power take off in wave energy devices5. Developments in this project also resulted in a patent being applied for. A combination of the resource assessment work and evaluation protocols confirmed Prof Salter’s observation that test facilities were needed that combined waves and currents in any relative direction. A proposal to EPSRC (with Bryden and Wallace) considered the under pinning research on the use of force feedback wave makers in flowing water24,25,27 and ultimately to a successful bid to build the FloWave ocean research facility70. Flowave has subsequently been used to replicate the conditions found at EMEC2,3,6,68,9,15. I have participated as a member of the management team in a number of EC project: starting with CLASH, a project on wave overtopping of coastal structures, where I led the numerical modelling work package28; Marina Platform, a project on hybrid marine energy platforms, where I led the resource assessment work package14,22,23,26,72; TROPOS, which considered multi-use marine platforms, where I led the scientific and technical coordination; PolyWEC, which is developing a dielectric elastomer based wave energy converter, where I lead the technology evaluation work. From 2008 to 2011, I coordinated the EC EquiMar project, which developed protocols for the equitable evaluation of marine energy converters. The protocols were developed by a team of 22 partners from 11 member states, representing leading technology developers, universities, test houses, and certification agen- cies. They cover the environmental, engineering and economic assessment60 and provide a flexible toolset that was utilised in the Marina Platform and TROPOS projects. The EquiMar project coincided with drive by the International Electrotechnical Commission(IEC) to develop standards for Marine Energy. Through EquiMar I served on IEC TC 114 (steering the standards development), on the terminology project team 62600-1, and subsequently on the 62600-1 management team. EquiMar has fed into a number of other 62600 technical specifications and has been used as a basis for classification and certification rules by DNV GL. Since 2007, been actively involved in the management of the UK Centre for Martine Energy Research (UKCMER). Initially running the doctoral training programme and then, since 2012, as the Research Di- rector. In UKCMER, aside from day-to-day coordination, I have provided evidence to Reviews of RCUK Energy Programme, participated in EPSRC exhibitions, helped lead international R&D scoping workshops, and been involved in bidding for a number of Grand Challenge projects. Currently I lead UKCMERs en- gagement with the tidal energy programme in Japan and am involved in joint projects with India and Chile. I led the numerical modelling activities in the projects to design and build FloWave and am a member of FloWave’s board. I am Director of the Industrial Doctoral Centre for Offshore Renewable Energy (IDCORE), a DTC which brings together the Universities of Edinburgh, Exeter and Strathclyde together with the Scottish Associa- tion for Marine Science and HR-Wallingford. IDCORE delivers a bespoke programme for future leaders in offshore renewable energy leading to a jointly awarded Engineering Doctorate. Students take courses in marine renewables, resource assessment, electrical machines, economics, marine biology, hyrodynamics, laboratory testing and undertake a group design project. Research projects are undertaken based in compa- nies. IDCORE was initially funded to recruit 50 EngD students, but has secured funding for an additional 16. Our graduates are seen as highly employable and have produced a number of significant research papers, including1–3,8,68,9,12,13,15, ten of the best papers have been included in a special edition of Ocean Engineering11 . Simulation of wave and tidal current renewable energy devices. Member of the Joint Research Institute in Energy, part of the Edinburgh Research Partnership funded by the Scottish Funding Council. Awarded the 1997 Busk Prize by the Council of the Royal Aeronautical Society.